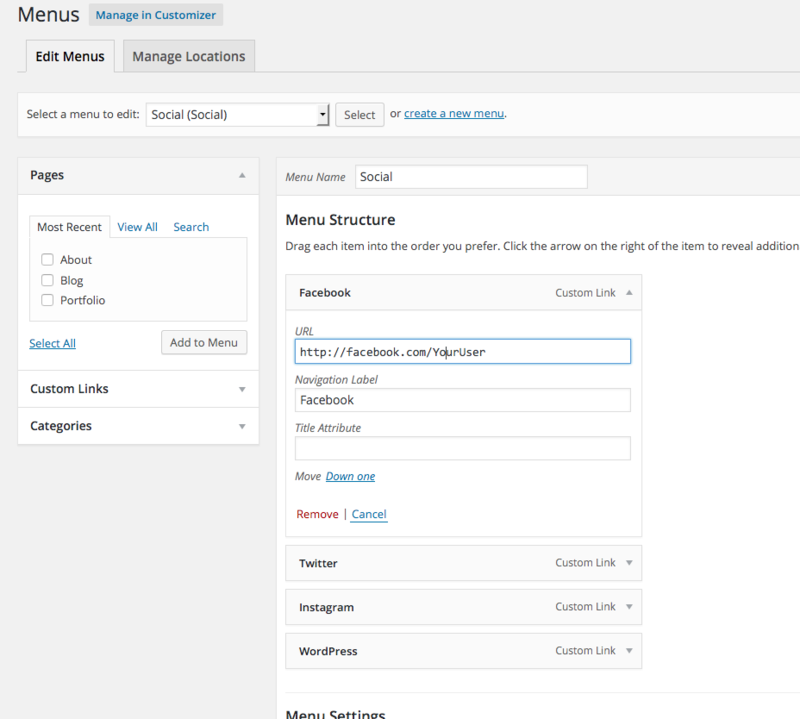 Using the social nav menu is just like using any other nav menu in WordPress. You just need to add custom links pointing to your social media profiles. So, the first step would be to create a new menu under the “Appearance > Menus” screen in the WordPress admin. To add custom links to this menu, use the “Links” box. Just make a link to the social media profiles you want to display. And, for the last part, be sure to select “Social” for the “Theme Location” before saving your menu.